Cool! 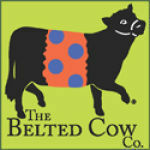 Save an average of 20% on The Belted Cow Company with 2 Coupon Codes, and 3 Deals! The Belted Cow Company is an online store that features a wide range of high quality merchandise at great prices. Based in Maine, the company offers flip flops, ring belts, leather tab belts, tote bags, leather belts and many more.